Direct sequencing of RNA molecules such as virus genomes could help to unpick role of mysterious chemical modifications in genetic material. The genome of the flu virus has been fully sequenced in its native RNA form for the first time. Previously, all influenza genomes — as well as those of other viruses that store their genetic material as RNA — had been determined by copying the molecule into DNA. The native flu genome was generated using ‘nanopore’ sequencing technology, which reads RNA strands as they stream through a tiny molecular channel. Barnes and other scientists are most interested in probing viral genomes, as well as other forms of RNA in many types of organisms, including humans. Researchers want to investigate mysterious chemical ornaments on RNA molecules that might affect their function in cells but have been hard to study. “The real excitement here is about RNA modifications,” says Ewan Birney, a bioinformatician and co-director of the European Bioinformatics Institute in Hinxton, UK. Birney says that the approach is “﻿transformative”. RNA is chemically similar to its better known cousin, DNA. In cellular organisms, it serves as an intermediary between DNA-encoded genes and proteins, and performs other tasks in the cell. But many viruses — including those behind polio, Ebola and the common cold — store their genetic information as RNA, rather than DNA. Barnes, head of the CDC’s influenza-genomics team, says that no one had sequenced the virus’s RNA genome before because it seemed nearly impossible. Previous methods for sequencing native RNA strands involved degrading one chemical base, or letter, at a time, and these techniques have changed little since their invention in the late 1970s2. To compensate, nearly all ‘RNA sequencing’ instead uses a viral enzyme called reverse transcriptase, which copies RNA into sequencer-friendly DNA strands. Nanopores offer a simpler way of sequencing actual RNA molecules, such as viral genomes. The technology is based on applying electrical current across a nanoscale molecular pore, and then measuring tell-tale current fluctuations as genetic material snakes through. In January, researchers at a leading developer of the technology, UK-based Oxford Nanopore Technologies, directly sequenced RNA using a chocolate-bar-sized device called the MinION3. That effort looked at transcripts of messenger RNA, the family of RNA molecules that conveys information from DNA to build proteins. Barnes’s team applied this method to the genome of influenza A, which is roughly 13,500 RNA letters long and composed of eight segments. Barnes says his team’s approach isn’t ready for prime time. It required a lot of flu virus, and to iron out inevitable sequencing errors, the raw data had to be processed many times over. But nanopore technology is advancing quickly, and Barnes hopes that with further improvements, direct sequencing of flu and other RNA viruses will become routine. At the top of his and other scientists’ wish lists are methods for identifying chemical modifications to RNA. More than 100 have been identified so far, but researchers have little idea what most of them do, in large part because it has been impossible to study them systematically. The Oxford Nanopore team was able to detect two common RNA modifications, or tags. Birney, who is a paid consultant to the company, expects that the technology will be able to find many more once machine-learning algorithms are used to unpick the tags’ signatures. Sequencing modified bases of RNA would be “a big deal” for the field, says Bryan Cullen, a virologist at Duke University in Durham, North Carolina. 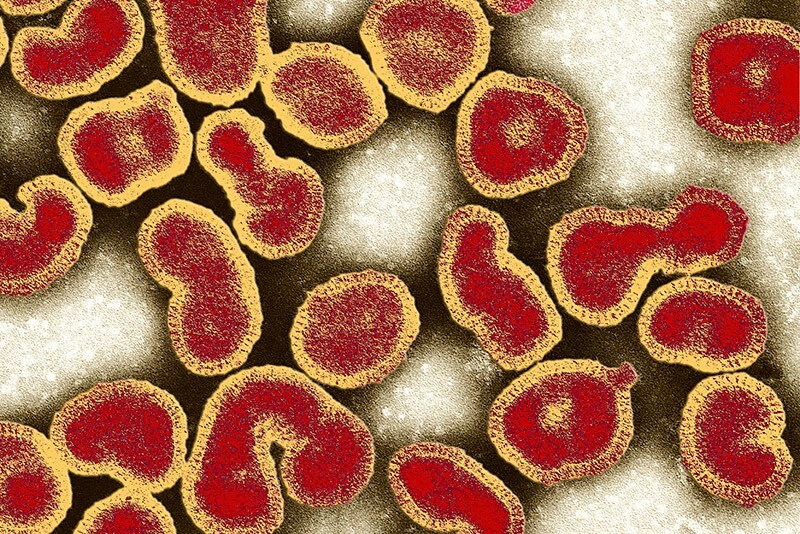 His team found last year4 that a tag called m6A seems to alter the expression of influenza genes during infection in mice, which promotes viral replication. Current methods for detecting such modifications are time-consuming and expensive, he adds. Stacy Horner, co-director of Duke’s Center for RNA Biology, says that nanopore sequencing could also reveal hidden diversity in RNA viruses, which is lost with other methods that cobble together much shorter stretches of genetic material to generate a genome. Keller, M. W. et al. Preprint at bioRxiv https://doi.org/10.1101/300384 (2018). Peattie, D. A. Proc. Natl Acad. Sci. USA 76, 1760–1764 (1979). Garalde, D. R. et al. Nature Meth. 15, 201–206 (2018). Courtney, D. G. et al. Cell Host Microbe 22, 377–386.e5 (2017).